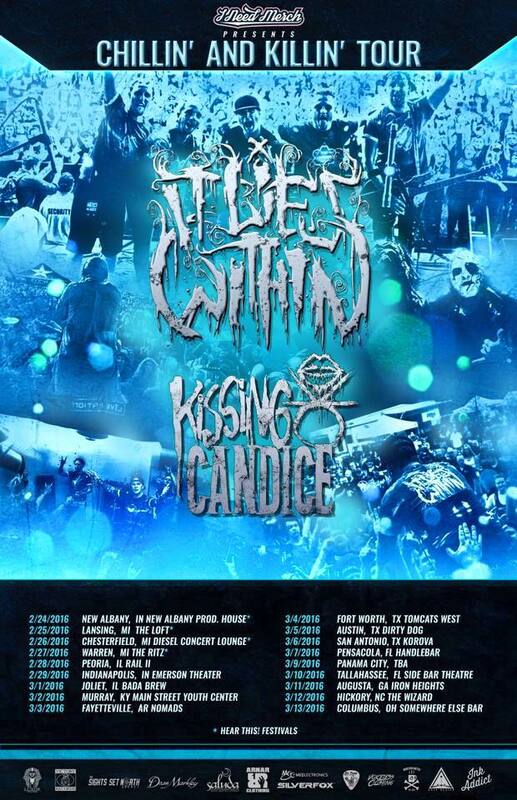 Kissing Candice is getting set to hit the road on tour in just under a week. They will be a part of the “Chillin’ & Killin'” tour with It Lies Within. The “Chillin’ & Killin'” tour is scheduled to kick off on February 24th in New Albany, IN and conclude on March 13th in Columbus, OH. Before this tour, you can catch Kissing Candice this Sunday, February 21st at Revolution Bar & Music Hall in Amityville, New York. You can check out all of the “Chillin’ & Killin'” tour dates below.